Born in Vancouver, Canada, and raised in a fishing and forestry community on the Pacific Coast, he was awarded a bachelor degree in English literature at the University of British Columbia. Thereafter he worked in hydroelectric construction, hitch-hiked extensively in Europe and the Middle East before enrolling in social anthropology at the University of London in the turbulent sixties. 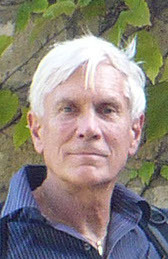 He took his masters degree at the “Manchester School” of Professors Max Gluckman and Clyde Mitchell with its emphasis on rigorous fieldwork and the analysis of social situations where the role played by researcher was part of the field data to be analysed-and this long before the era of postmodernism. Richard Daly’s doctoral research examined gender equality and communal relations among the Iroquois and Wendat peoples of northeastern North America. He was awarded his doctorate at the University of Toronto under the guidance of Professor Richard Lee. He worked as curatorial assistant and conservator at the Royal Ontario Museum and later as contract researcher and expert witness for First Nations plaintiffs in aboriginal rights and “land claims” cases before the British Columbia and Federal court systems. After living in Toronto and northern British Columbia he moved with his Norwegian wife, Liv Mjelde, now Emerita Professor of Vocational Pedagogy, to a cabin in the woods outside Oslo, Norway, where he has worked on translation, editing and research projects. Together with Liv Mjelde, he has worked on learning problems of working people and the changes imposed on them by the labour market, both in Europe and elsewhere. This included four years when they conducted a Masters programme in vocational pedagogy funded by the Norwegian Ministry of Foreign Affairs. The programme was carried out by Kyambogo University in Kampala for students from Uganda and South Sudan.